Keep your guests engaged and entertained all night long at your hospitality suite, cocktail party, or corporate event. (For groups of 30 to 300 or more). The Masters Show is Mike’s most requested program. Just gather your group around a large table, and Mike performs an incredible program of comedy, magic, and mind-reading. (For groups of 5 to 50). 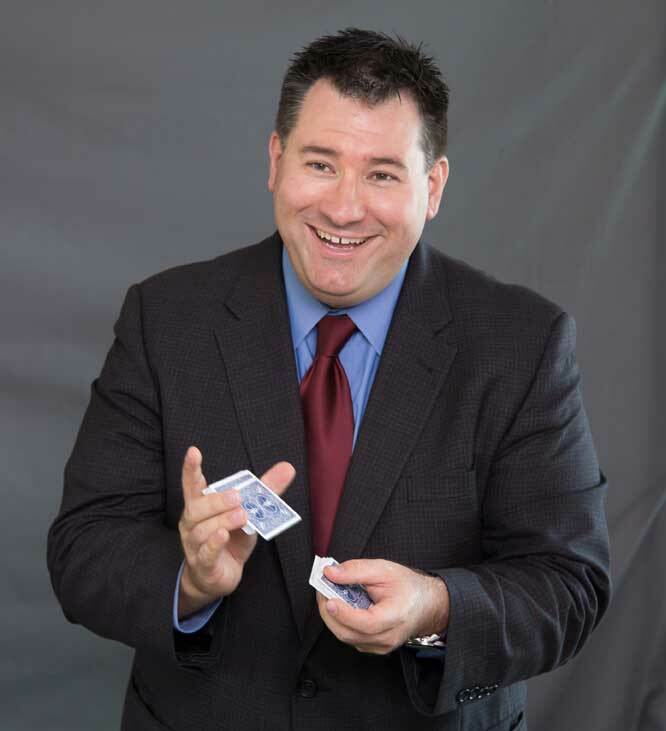 Perfect for banquets, conferences, and meetings, Mike wins over the most jaded audiences with his incredible magic, mind-blowing mentalism, and approachable, “real guy” personality. (For groups of 50 to 500 or more). Looking for a “brain break” during your meeting? Need more than coffee to “kick off” a morning session? Want a keynote speaker with “something special” to set the tone for your conference? Mike can even integrate your VIPs into the show, help your CEO do an incredible trick for your group, introduce speakers, and even emcee your event as well. Do you have a theme for your meeting or event? Are you launching a new product? Instituting an important corporate initiative? Mike can build your message into the show, ensuring your guests remember your message long after the event. With almost 20 years of trade show experience pitching everything from industrial transfer switches to software, Mike knows how to seamlessly deliver your message in an unforgettable way.